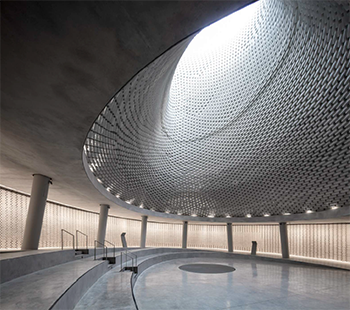 The new National Memorial Hall for Israel’s Fallen, on Jerusalem’s Mount Herzl adjacent to the military cemetery, is an elegant yet understated tribute to the 23,600 members of Israel’s security forces who have died in the line of duty. They include Jews, Christians, Muslims and Druze. ​The hall, designed by Kimmel Eshkolot Architects in collaboration with Kalush-Chechik Architects, is a study in simplicity of materials and complexity of form. The Royal Institute of British Architects has named it one of 60 projects worldwide shortlisted for its prestigious International Prize, to be announced later this year. 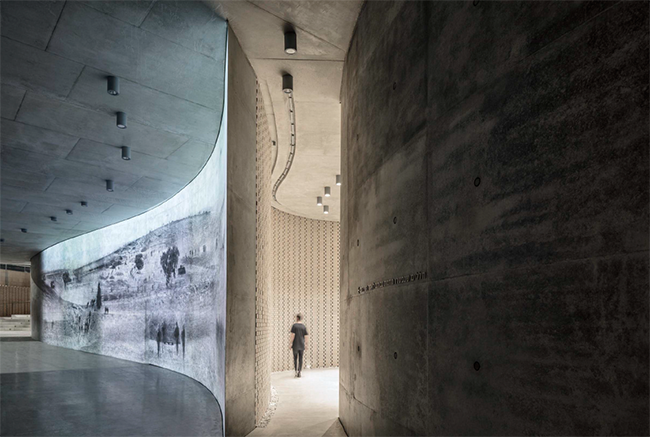 ​At the entrance, a floor-to-ceiling work of video art by Michal Rovner titled The Landscape of Their Footsteps, showing soldiers from various periods, is projected on a concrete wall. Just beyond is a room commemorating wounded soldiers who later succumbed to death. ​ The basic unit of the structure, both within and without, is the brick, he explained. In keeping with the military’s principle of uniform commemoration, each individual is allotted an identical stone brick bearing only the name and the date of death, accompanied by a small memorial light that is lit each year on the date of death. The bricks are set in a wall that spirals around an asymmetrical bell-shaped void, also made of stone bricks, that allows natural light to penetrate. Stands with touch screens enable visitors to locate individual bricks and a phone app allows them to read the story of each fallen soldier. 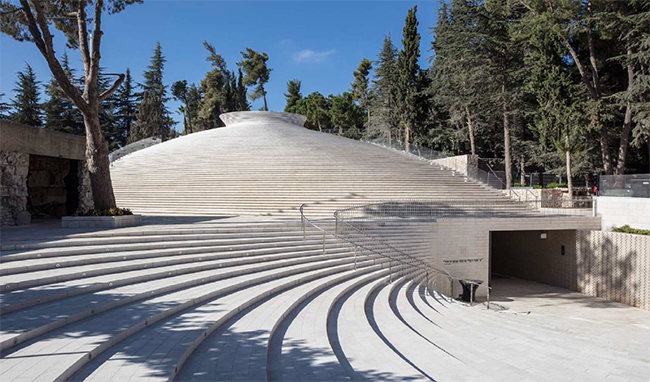 ​ The Defense Ministry’s Naama Mizrahi Itach, who works as a liaison with families, said the hall, fully accessible to the disabled, was built because of the bereaved families’ deep need to preserve the memory of their loved ones and because of the state’s obligation, anchored in law, to memorialize them. Individual and group visits must be pre-booked; tours are conducted by soldiers (memorial_hall@mod.gov.il).